Let’s ask…why are foreign workers/talents necessary for Singapore? You say foreigners took your job? Fair enough, let us imagine a scenario where Parliament suddenly decides to accede to pressure to reduce the foreigner count, by say 50%. a.) Companies will then have to hire locally and pay more for whatever jobs there are, this will thus increase operating costs. Guess who’s paying for the increased costs: you, the consumer. b.) Manpower is the most important factor there is in any business. Because of this increase in manpower costs, entrepreneurs (especially new ones) will find it even more difficult to start new businesses – resulting in us loosing a competitive edge and lost opportunities for even more job creation. c.) If companies find it difficult to staff their operations, especially for skilled and specialist jobs, they will take their business elsewhere, and along goes other lower skilled jobs that might come with it. d.) We will be known for our protectionist and xenophobic practices and many countries would quite likely return the favor on our citizens. e.) Let’s take for example there are about 1 million foreigners here. Hypothetically each spends $10 daily. This would amount to $10 million dollars circulating Singapore everyday. How many businesses do you think would shut if this $10 million dollars was not around? In short, you will find prices rising further, jobs being lost and probably face difficulty getting work overseas. Already as it is, Singapore is facing a tight labour market. Many businesses have shut down simply because they cannot afford to pay for high manpower costs to continue to run. In short, foreign workers supplement our economy and actually help keep our (core) Singaporean workers employed. Still not convinced? 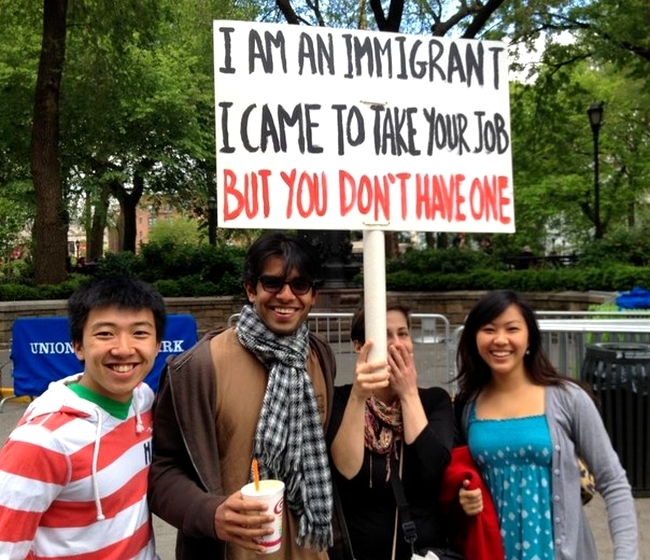 There has already been a social experiment in America where immigrants, both legal and illegal, went on strike just to show how important their presence is. This was called “A Day Without Immigrants”. » Why can rich parents buy their way into private local schools?